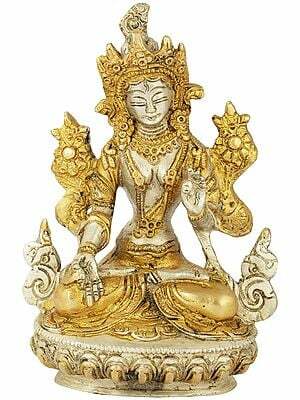 13.0" X 6.5" X 5.5"
Buddhism has a predominant tantric culture, a singular aspect of Oriental religion. 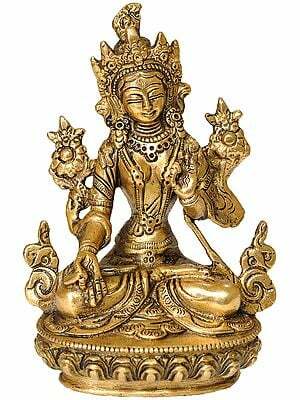 Exotic India's brass and copper pieces in Buddhist tantric sculptures come in a wide range of make and finish - brass, copper, gold-gilded, colourfully inlaid, you name it. 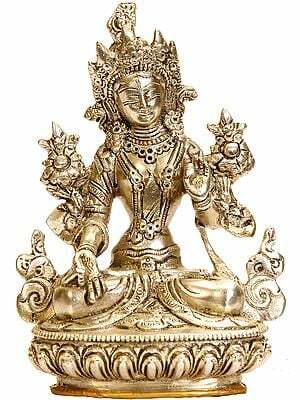 The purpose of Buddhist tantra is to transcend the compulsive and the cyclical, to overcome the barriers imposed by the body as we know it and put our human birth to the use of spiritual liberation. Pick any of these to add an aura of the esoteric to your home or office.